Submitted by lynn on Friday, July 27, 2018 - 1:48pm. 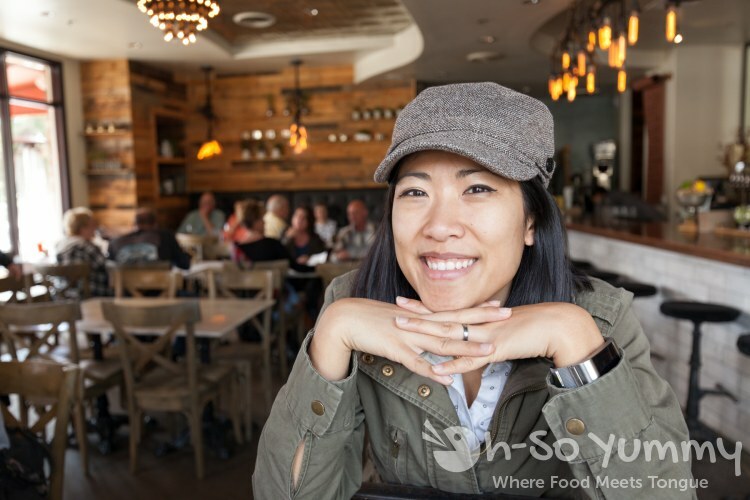 Our Old Town Temecula eats continues! This latest spot was The Goat and Vine, interestingly enough, on the same street block as our two other visits to Havana Kitchen and Blackbird Tavern. This business was highly rated but we also noticed most Temecula spots were favorably reviewed as well... time to find out in person! The doorway to The Goat and Vine is sort of hidden away, covered by these huge columns outside of the restaurant. You could easily miss the smaller business sign off to the side! The smaller patio is a bit shrubby, almost tucked away like the entrance! The last place with extra greenery abound was Churchill Arms during our London trip. 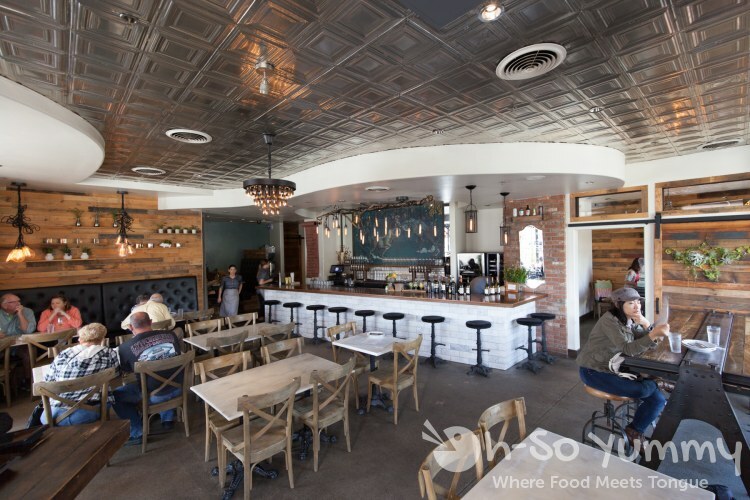 Inside, we noticed shiny metallic ceilings as well as plenty of wood and metal, almost like a trendy workshop style. The well-dressed staff were friendly and really knew their menu. The hostess mentioned there were certain food types she previously didn't care for but after working here, was now a fan! That got us excited to try the menu as well! She couldn’t decide between two sandwiches so we ended up ordering both! This roasted turkey sandwich was advertised to be on a pretzel bun but didn’t look like your typical dark, thick and chewy crust. Instead this was more like a fluffy bagel without the skin and still tasted great! 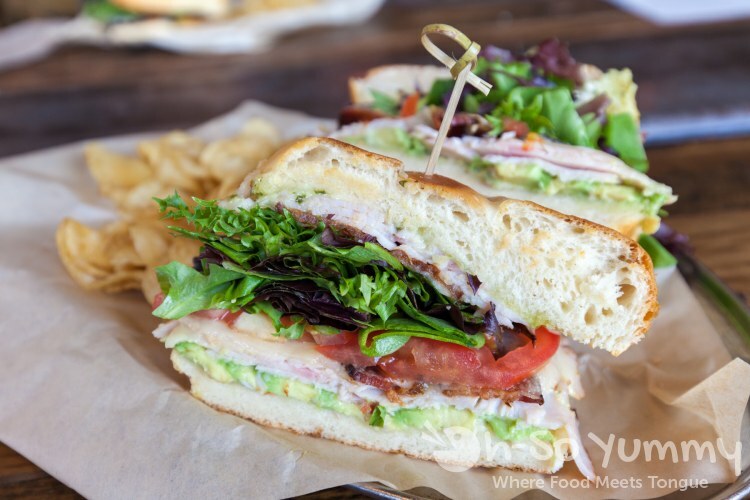 The sandwich had that creamy avocado and savory bacon fun feeling and all together, it was a great bite. 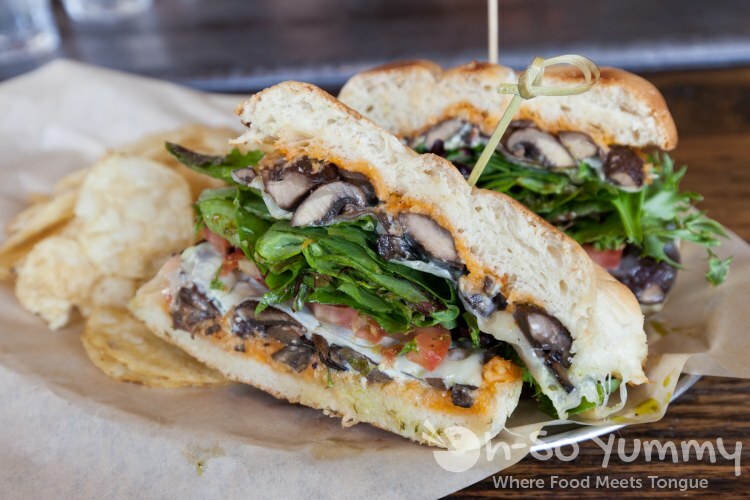 Instead of the bolder flavors like our first sandwich, now we had the mushroom heavy melt with a tasty accent sauce. The cheese was wonderfully melted but still let that mushroom taste come through. Dennis felt like there were two different layers of mushroom to this sandwich! Both sandwiches came with two handfuls of chips on the side. 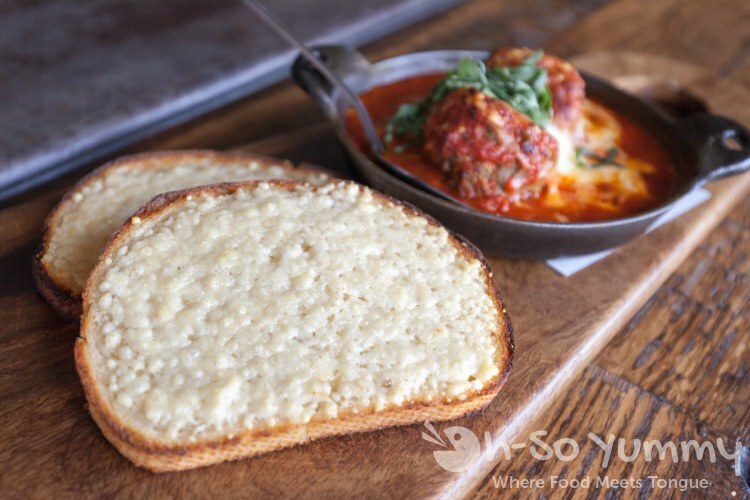 We also ordered an “appetizer.” Two gigantic meatballs with sauce and melted cheese came with a side of bread sprinkled with parmesan, almost like a pizza bread! If I added sauce, it WOULD be pizza like, which could represent their other menu category, which is pizzas. This cheese was milder and delicious on its own. 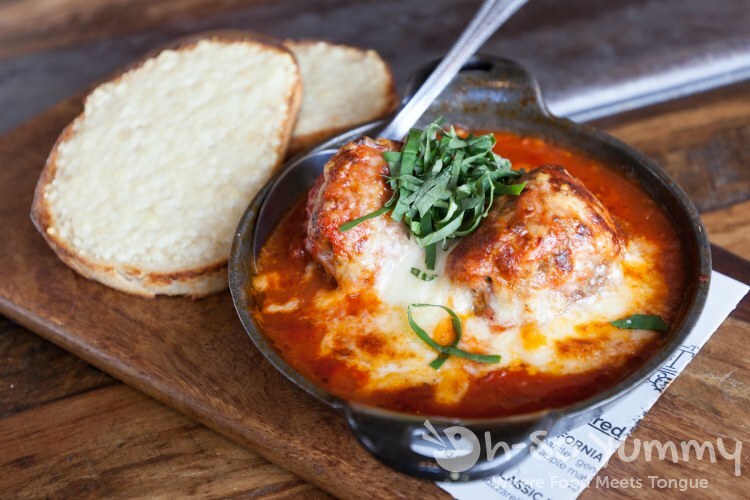 The meatball itself was a little firmer and the fennel (which Dennis usually loves) was on the lighter side for him. We each had our own meatball and with the bread, you could make this into a sandwich, thought we preferred the actual sandwiches more. If you do go the pizza route, they recommended the goat cheese one. These come in personal pan size, maybe 14 inches diameter. They could be good to share with 6 slices each. From what we saw, seemed like lots of crust on the edges. We weren’t in a pizza mood that day but it would have been a great sharing item! We got here on a Sunday during daylight savings time change around noon but the restaurant had just started getting busy. By the time we left, the restaurant was packed with a small line out the door. Maybe we had an advantage because of daylight savings and people were still in bed. We parked on a side street which seemed easier than on the main street. Overall we thought this place was very cute and a great eatery in Old Town Temecula. If you aren’t eating at your winery restaurant, this would be a great alternative too. 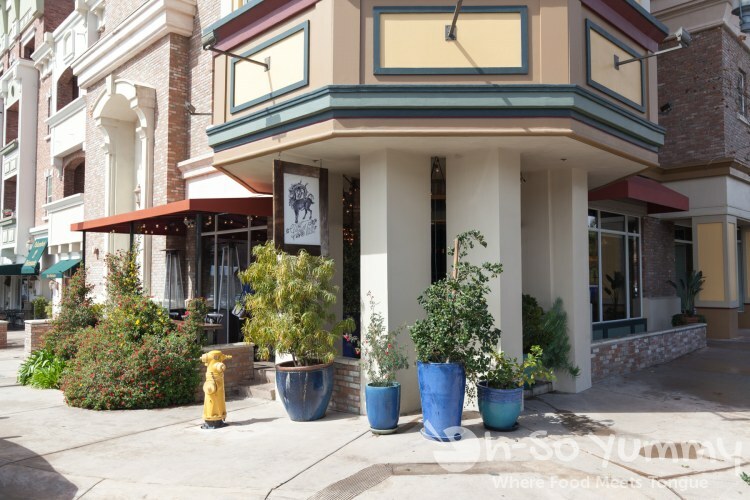 Old Town Temecula has has lots of fun restaurants to hit up and Pechanga Casino is just around the corner too. We'll just have to save other restaurants for our next visit into town! Everything looks delicious! I'll have to add this to my list of places to go as well for when we visit family! so many cute spots in this little town area! you'd find plenty of things here! This looks like a nice quaint restaurant. I love places like this! great chill environment too! we want to go back! I'm actually considering moving to Temecula from Colorado so your posts help me know exactly where all the good food is! You'll want a bigger city for more dining options but at least there are all the wineries in the area as well! I really like Pechanga Casino & Resort because I have good luck with the slots (but I also play small amounts).